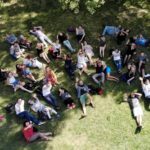 The Boris Nemtsov Foundation, with the support of the Ministry of Foreign Affairs of Germany, implements the project “The Image of the future through the Eyes of Youth”. Analytical Center of Yuri Levada in collaboration with the Boris Nemtsov interviewed the young residents of big cities of Russia, Ukraine and Belarus (1000 respondents in each country) about their plans, vision of the future and prospects of their countries. 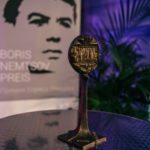 Preliminary results were presented at the Forum Boris Nemtsov, which took place in Prague on 9th and 10th of October 2018. In the beginning of December, as part of the project held open discussions in Minsk, Lviv and Ekaterinburg. Their subjects will not be limited to discussing the results of the survey, but will affect the political, cultural, philosophical aspects of the image of the future. One of the objectives of the project is to find points of contact and promote mutual understanding of young people from different countries. The project will continue in 2019. The data of the survey and the results of the discussions will be published in December 2018 on the project website in German, Russian and English languages, as well as in the free book. December 8, 2018 at 18:30 in the cafe – “Town Hall” in Lviv held public дискуссиия on the topic “Візії майбутнього The сучасному мистецтві”.